Israeli Prime Minister Benjamin Netanyahu has rejected Russian President Vladimir Putin's proposal to organize a summit with Palestinian President Mahmoud Abbas in Moscow because he didn't want to undercut President Trump's forthcoming Middle East peace plan, according to Israeli officials. Why it matters: Netanyahu and Abbas haven't met since September 2010. This is the second time Netanyahu has rejected such a proposal from Putin, after another offer in September 2016. 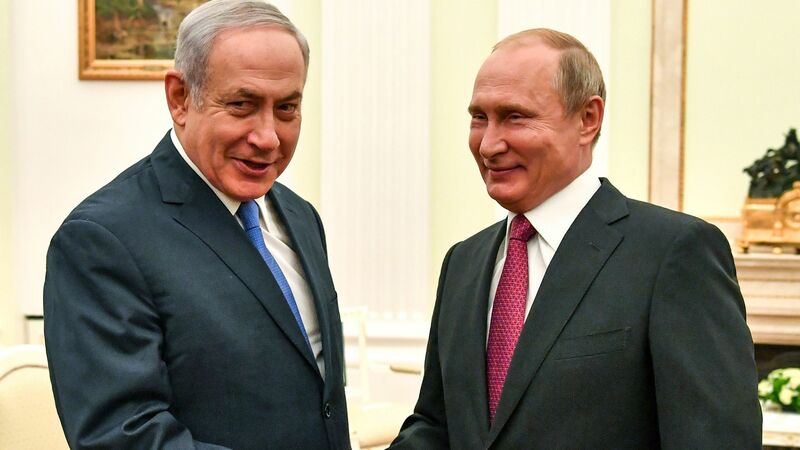 Putin's new attempt to inject himself into the Israeli-Palestinian peace process is a challenge to the Trump administration, which has been working on a peace plan for the last 18 months. The White House "peace team," which is being boycotted by the Palestinian leadership, still hasn't decided if and when to launch its proposal. On Monday Netanyahu met with Russian foreign minister Sergey Lavrov, who arrived in Israel for talks on Syria. Russian diplomats and Israeli officials said Lavrov also discussed with Netanyahu the stalled Israeli-Palestinian peace process. According to the Russian diplomats, Lavrov briefed Netanyahu on the recent meeting Putin had with Abbas in Moscow. Lavrov told Netanyahu that Putin had proposed a Moscow summit to Abbas, and that Abbas said he is willing to attend such a meeting, the Russian diplomats said. Lavrov asked Netanyahu if he would be willing to attend such a meeting. Israeli officials said Netanyahu told Lavrov he is not against such a meeting in principle, but doesn’t want to organize such a meeting in Moscow before the Trump administration launches its peace plan. "I want to see the U.S. initiative through", Netayahu told Putin, according to the Israeli officials.